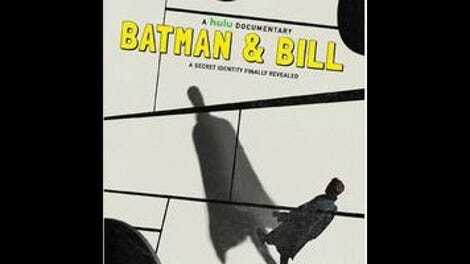 The new Hulu documentary Batman & Bill examines the relationship between who invents something and who gets the credit for it. As depicted in the film, the two people behind the creation of the biggest superhero of all time—Batman—ended up on the opposite ends of fortune, one wealthy and a quasi-celebrity, one dying alone and winding up in a pauper’s grave. Batman & Bill is also about one man’s quest to expose the truth about a hero’s genesis. Most Batman fans are familiar with the name Bob Kane, as a signature on many issues of Detective Comics and Batman and as a “created by” credited in every movie starring the Dark Knight. When author and comic-book fan Marc Tyler Nobleman—who had previously written about Superman creators Jerry Siegel and Joe Shuster in Boys Of Steel—decided to tackle Batman’s creative origins, his research led him to discover that although Kane claimed most of the credit, many of the key elements of the Batman we know today came from the mind of writer Bill Finger. The savvy Kane had already locked down his ownership of the character, but knew that he needed help, so he turned to his acquaintance Finger, whose suggestions greatly improved Kane’s initial sketch of the character. Finger contributed many of the early stories that made Batman famous, and came up with many of the character’s defining attributes: the cape, the cowl, the color palette, the tragic origin story, even the Dark Knight nickname. It’s not easy to make a thriller out of a story primarily based in research, but animated comic-book interjections keep Batman & Bill’s plot moving. Also, Nobleman’s passion for his subject matter gives the documentarians a lot to work with. (At one point, Nobleman’s young daughter is asked what her father’s job is, and she replies, “Bill Finger.”) He’s shown scouring years of Bronx phone books to find any possible friends or relatives of Bill Finger, to find out as much as possible about the person Kane referred to in his memoir (published years after Finger’s death) as an “unsung hero.” Eventually, Nobleman becomes wholly focused on getting Finger acknowledged as Batman’s co-creator, which could mean a considerable amount of royalty rights for Finger’s descendants. But first, he has to find those descendants. Nobleman narrates that search, with help from Finger’s contemporaries and present-day comics names and fans—among them Kevin Smith, who helps publicize Nobleman’s efforts. For fans, the Batman research is much more interesting than the hunt for the Finger family. This is where the doc drags a bit, suffering in comparison to the excitement radiating from the stories of Batman’s creation. 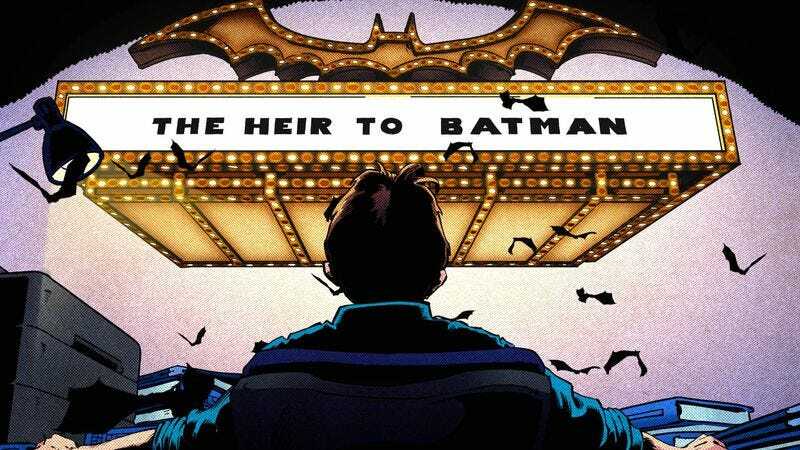 An hourlong runtime might have suited Batman & Bill better than the 90 minutes it turned into. Nobleman and the Fingers’ battle ultimately faces David-and-Goliath odds against DC Comics and its giant parent companies, which Batman & Bill steeps in tension until it’s revealed whether or not Finger will finally get his proper credit. But the film also has a lot to say about creativity and ownership. Jerry Siegel and Joe Shuster were similarly desperate to get Superman in print, selling the rights to the character for a fraction of what he’d eventually be worth. The pride these artists may have had in creating these heroes must have been almost squashed by the knowledge that someone else was reaping such great rewards from their original ideas. From another angle, the documentary also says a lot about how important it is to feel so strongly about doing what you love: Bill Finger took the bus around New York for hours, sketching out possible ideas and stories for the Batman characters, just as Nobleman spent years trying to put a happy ending on Finger’s story. Bob Kane might have hobnobbed with movie stars at the premiere of Tim Burton’s first Batman film, but who knows if he ever attained that particular kind of creative satisfaction, knowing that someone else was partly responsible for what he was taking all the credit for.